This is a picture of my latest flimsy finish – another Colour Catcher String quilt. I have been using used Colour Catchers as string block foundations for some time now. Between other projects or when I am in a creative slump and I can’t come up with anything else to work on, I mindlessly piece strings to the Colour Catcher foundations. I usually get stuck on the borders of a quilt. I was busy watching old re-runs of “I Love Lucy” on Friday night while I worked on the borders of this quilt. Before I knew it, I had a finished flimsy. A little laughter at the timeless comedy antics of Lucy and Desi made me forget how boring I find attaching bindings. 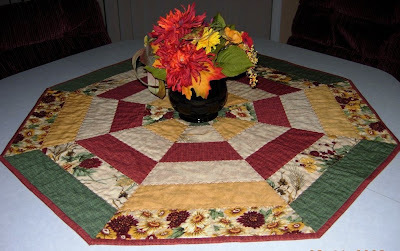 This quilt will be a perfect utility quilt for the winter when we are looking for an extra quilt on the bed. This top now measures 97″ x 104″. 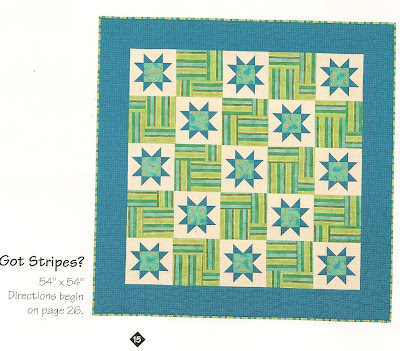 I love the lime green border fabric. Lime green is my favorite colour and I couldn’t resist using this fabric as the cornerstones and border to set off these colourful blocks. My husband, daughter, and son’s girlfriend had to work on Christmas Day. Every one’s schedules were different. As a result, we ended up having our Christmas turkey dinner at 5:00 pm and then we opened our gifts later that evening once everyone was home. In the afternoon we watched a couple of classic Christmas movies. Once the gift unwrapping started, the paper quickly piled up in the center of the room. I made my aunt pillowcases from the cutest Christmas cat fabric. My aunt was able to join us this year from Saskatchewan. This year the weather was very cooperative making her journey stress free. My daughter’s boyfriend was without a stocking so part of his Christmas gift was this Christmas stocking that I made. This is my son with his new quilt. He had asked for a quilt big enough to fit a queen size bed for when he moves out on his own in 2010. My mom was surprised when she unwrapped her Daffodil BQ2 quilt. We all had a great day–hard to believe that Christmas is over for another year!